Found 3 file extension associations related to SIMATIC STEP 7-Micro/WIN and 3 file formats developed specifically for use with SIMATIC STEP 7-Micro/WIN. STEP7-Micro/WIN lets you save time and money in programming. This software package can be handled like a standard Windows application and includes all necessary tools for convenient programming of the SIMATIC S7-200: from the high-performance SIMATIC instruction set to IEC 1131-compliant programming and all the way to trend charts and wizards. 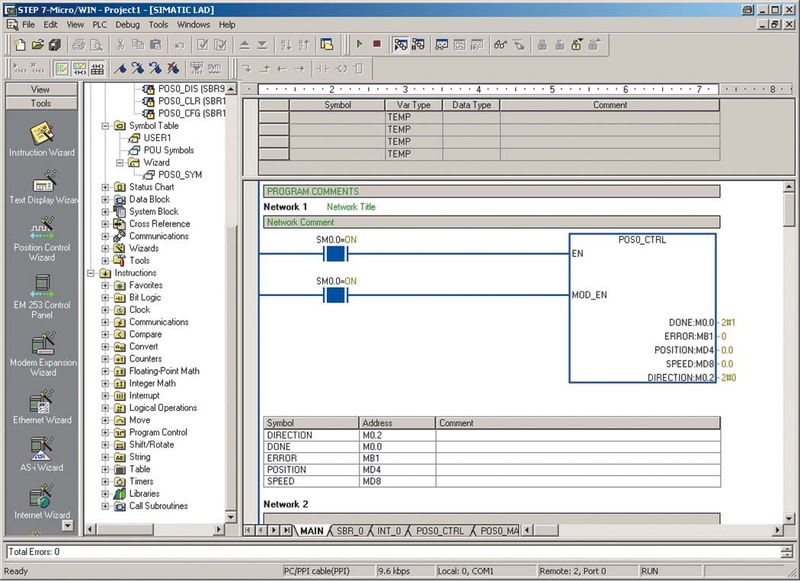 The latest version, STEP7-Micro/WIN 4.0, which is compatible with Windows XP and higher operating systems, offers even more: segmented data memory, improved handling of the program and command structures, diagnostic functions as well as a user-specific LED, error history, runtime edit, and online-download. If you need more information please contact the developers of SIMATIC STEP 7-Micro/WIN (Siemens AG), or check out their product website.